1. The stopwatch is your best friend, NOT your enemy. 2. When, dealing with injury (notice I said when, not if) stop what your doing and take care of it. Period. 3. Standards are also your best friend, NOT your enemy. Without them we would never know our true potential. 4. There is no such thing as weakness if you work at them often enough. 5. Know your strengths and keep them that way. 6. Smile: It cost nothing but means everything. 7. Once you have mastered the mechanics of a movement it’s your duty and obligation to teach it to others. A great coach is a by-product of a great athlete. 8. If you don’t like the Zone Diet then consume 40g of Carbohydrates, 30g of Protein, and 30g of Fat with each meal. 9. Goals: We all have the same kinds of goals just different degrees. 10. Nobody is forcing you to do Crossfit so have FUN with it. Thoughts? Agree/Disagree? Anything to add? 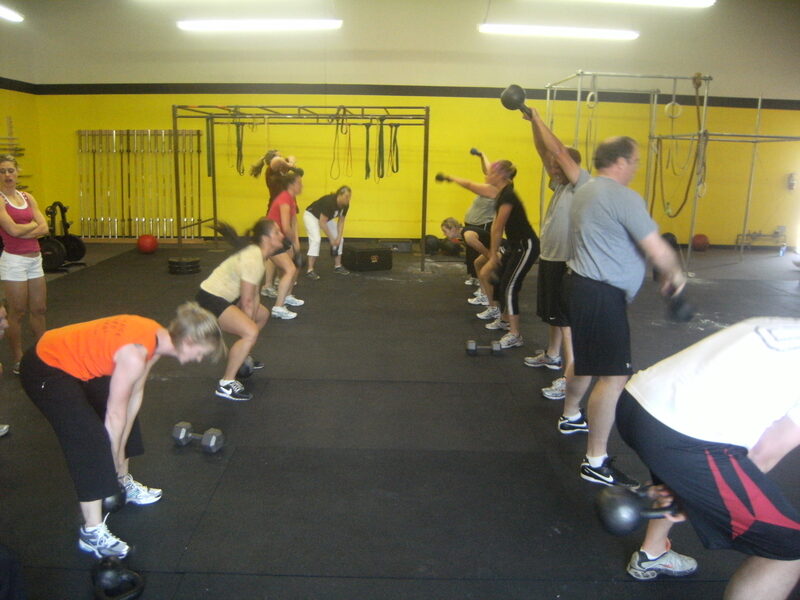 This entry was posted on April 22, 2010 at 8:05 pm and is filed under Crossfit Philosophy. You can follow any responses to this entry through the RSS 2.0 feed. You can leave a response, or trackback from your own site. Still working on #1 but totally agree with the others! Regarding #10 – do we have to smile while we’re working out?? I’m usually smiling when I arrive and on my way out but the in between is different! I would have to say that #4 is my favorite!!! !